Our neighbour, Tony, is seeking new hobbies to keep him busy in retirement. A few years ago he built rows of vegetable and fruit patches. Today his patches are thriving. Where Tony gets more pleasure in building the garden and planting seeds, Chef delights in picking and cooking the fresh produce. Rhubarb is mostly associated with sweets and desserts, but it also works well as a relish or spring cordial. It is very bitter, so sugar is often used to lessen its bite. 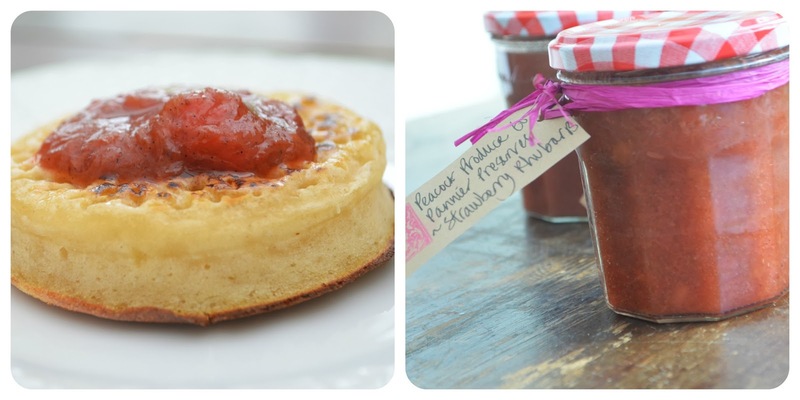 Strawberries are a great sugary fruit complement to the rhubarb’s tartness. Where available, pick your own rhubarb and strawberries. If P.Y.O. is not available where you live, search for your region’s best produce at local farmers’ markets or supermarket. Late spring rhubarb paired with early summer strawberries celebrates two seasons and their star fruits. I have started making batches of jam as I, too, wanted to enjoy sharing jars with family and friends. I find it quite fun, and like the fact that you can make big batches to store and have on hand as a personal touch for house guests or to give as a sweet gift. Tips: Source great seasonal (and regional) produce and ensure you use the correct ratio of sugar to fruit. Bonne Maman has nothing on you– you will succeed! 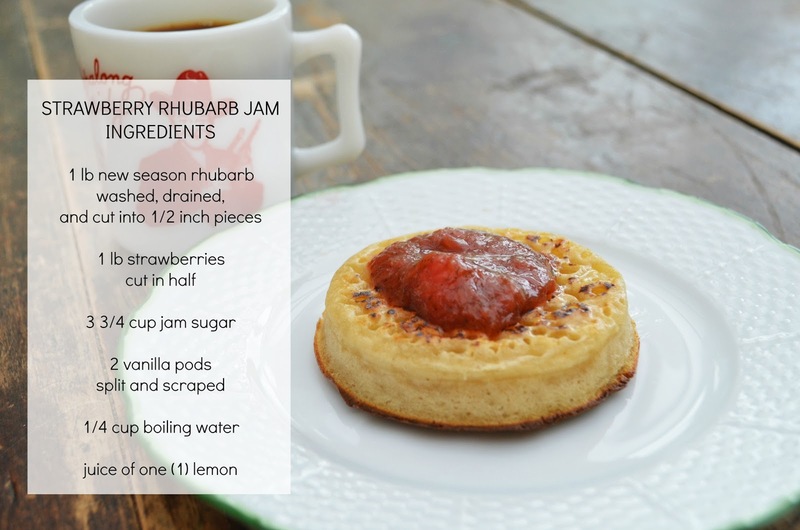 Get jammin’ by following Chef’s Strawberry Rhubarb Jam recipe below. Place the jam sugar and boiling water in a heavy saucepan. Split the vanilla pods in half length ways and scrape out the seeds into the pan, adding the pod for extra flavour. Cook over low heat. Once simmering, add the rhubarb and turn the heat up to high bringing mixture to a boil. Once rhubarb is tender, about five minutes on high heat, add strawberries and stir continuously until the jam reaches setting point of 221 F (105 C). Remove the jam from the heat and carefully pour into hot, sterilised jars and seal. Once jar has been opened, store jam in the refrigerator. 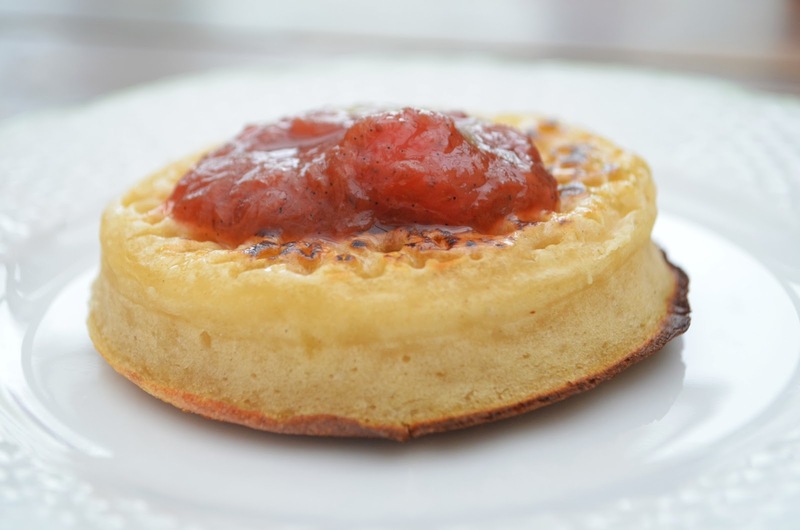 Dolloped onto a toasted English crumpet and served with a cup of strong coffee, this jam provides the jump-start breakfast I crave each morning. You ready to jam?